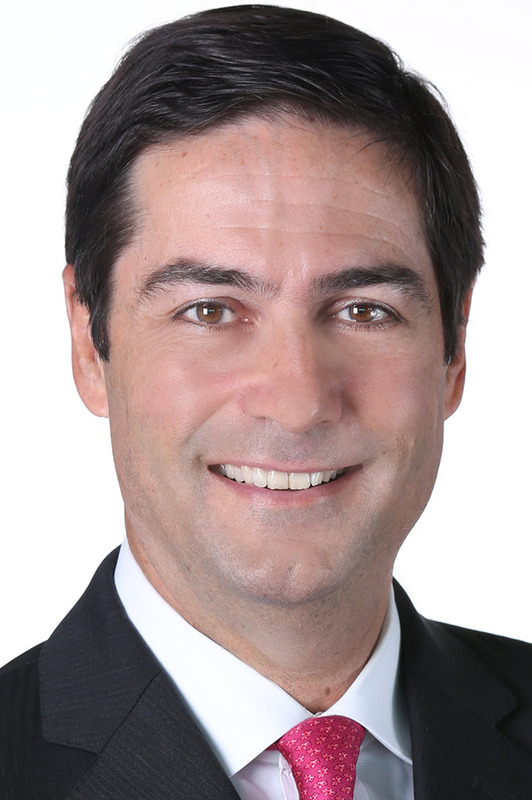 As past president of both the Florida Bar and Cuban American Bar Association, Ray Abadin made it a point to emphasize the importance of technology competence for lawyers, coming changes in the delivery of legal services, as well as access to justice. Ray is a Fellow of the American College of Trial Lawyers and partner at Sedgwick LLP, who deals in complex commercial and tort cases. Often his work involves class actions, making organization and speed essential to his practice in and out of the courtroom. Ray’s background lent itself well to Vision 2016, a comprehensive study conducted by The Florida Bar to prepare attorneys for the future of practice. Janet Accardo recently retired as library director at Skadden, after having been a mainstay of library professionalism in New York for more than four decades—at only two places, Ernst & Young (1972-1992) and Skadden (1992-2016). 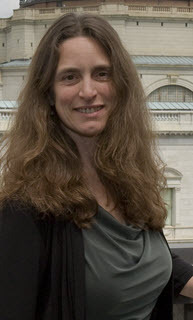 She joined Ernst & Young after undergraduate studies at Wellesley College and the College of Wooster (English Literature/Letters) and graduate studies at SUNY Albany (MLS). The ancient aphorism "suaviter in modo, fortiter in re" (civil in style, solid in substance) might well have been crafted for Janet. She serves as a reminder that, on the one hand successful information professionals must never stop acquiring and expanding their stores of technical knowledge, management expertise, strategic vision and budgetary precision, and on the other that these vital skills are not inconsistent with civility, courtesy, good humor, and graciousness even now—indeed, especially now. One of the most prominent defenders of Internet freedom and the First Amendment, Marvin Ammori does not shy away from a battle. He heads up The Ammori Group, which has been a major player in more than one policy fight on Capitol Hill. Some of his previous clients include Google, Apple, Dropbox, Twitter, and Tumblr. From helping to kill SOPA and protect net neutrality, to serving on the board of Demand Progress, it’s no wonder Marvin recently won the prestigious Nyan Cat Medal of Internet Awesomeness. Now Ammori is part of the team trying to build Elon Musk’s design for the Hyperloop, using electric propulsion and an autonomous vehicle that levitates slightly above a low-pressure track to glide at faster-than-airline speeds over long distances. Machine learning has conquered chess, Jeopardy!, and Go. It flies airplanes, assists in surgery, and drives cars. Can we seriously doubt that it will change the practice of law as well? Andrew Arruda helped create ROSS Intelligence as part of a team at the University of Toronto, applying IBM’s Watson to legal research, starting with bankruptcy. ROSS Intelligence can process natural language legal questions and reply with highly relevant passages that answer the question, and it can learn from its successes and failures. This has been a fast year for Andrew and his team, securing funding from the Dentons Nextlaw Labs and early subscriptions from major law firms. When it comes to working with hundreds or thousands of documents during complex litigation, many an attorney has thought “there has got to be a better way.” Alma Asay was a litigator at Gibson Dunn, when she turned that thought into a reality. She created Allegory, a cloud-based software platform for managing case information, so that lawyers could manage litigation with tools beyond Excel spreadsheets and shared folders. Allegory now has clients across the country, helping lawyers automate tedious tasks, run helpful queries, connect key pieces of information, and win cases. At the young age of 28, Shelby Austin made partner at Davies Ward Philips & Vineberg, but that was only the beginning. 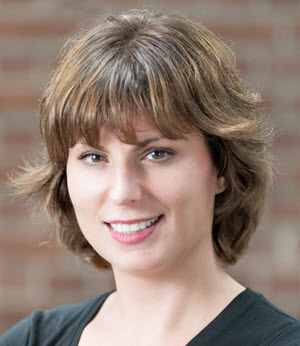 She left Davies to found ATD Legal Services, a start-up focused on cutting the cost of electronic document review and records management services. ATD was named one of Canada’s Hot 50 companies by Profit Magazine before being acquired by Deloitte in 2014. Shelby now works at Deloitte leading its Legal Project Solutions team, which manages large document review and due diligence projects. 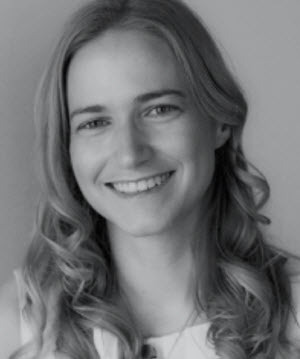 As a result of her experience, Shelby has become a top advisor on the topics of e-Discovery and legal start-ups. It’s no surprise that Tim Baran is one of the most prolific writers about the legal profession. Tim has embarked on a coding journey to help further his passion for how human-centered approach to technology can improve the delivery of legal services and access to justice. Tim is a law librarian, entrepreneur, author, and speaker, and his career has taken him from the U.S. Court of Appeals to work at a law school, from a large New York law firm to his own CLE consultancy. Tim is now the Content Director at Rocket Matter and host of its Legal Productivity blog, where he explores, in his own words, "how technology, efficiency, and innovative marketing and business development techniques can be used to promote and optimize the delivery of legal services and access to justice." Tim’s interests are diverse, and so is his writing, on topics from legal technology to lawyer wellness and brunching in New York. Tim is the author of A Lawyer’s Guide to Evernote and Working Remotely: A Telecommuters Guide to the Galaxy, and co-author on other publications geared towards legal technology, marketing, and productivity. 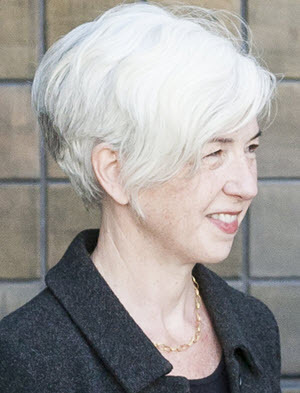 Cathryn has been with the State of Oregon Law Library since 2003 after years of academic and law firm experience as a law librarian. In 2012, she was named Legal Hero of the Year by DJCOregon. 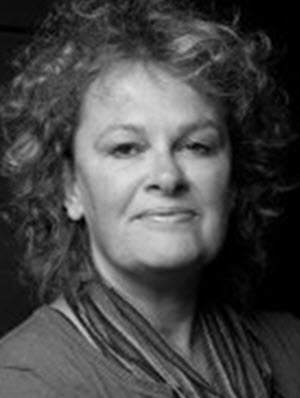 Cathryn’s expertise is negotiations, a skill she has embedded into all duties of her position. She once explained that “there is no one way of doing anything. I consider myself creative and strive for creative approaches to new and old problems.” Her mark is definitely felt in a variety of electronic services that are available within and outside the OJD. 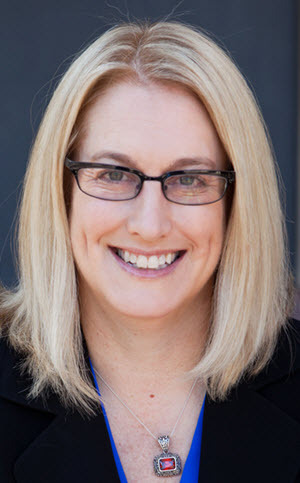 Last year, in an innovative partnership with Fastcase, Cathryn led an effort by the State Law Library, in partnership with Fastcase and HeinOnline, to open access to Oregon law and law review articles to every citizen in the state -- a first-of-its kind access to justice initiative. Mark Cohen is the founder of Legal Mosaic, the culmination of a career path that has led from Oxford to government service to Big Law to private practice and is now directed not at helping individual clients, but to helping the legal profession as a whole. Mark has become convinced that the former model of "provide legal expertise and bill for it" is less useful to clients and less productive for lawyers today than it was when he launched his legal career forty years ago. The successful practice of law today requires legal expertise, business sense and technological sophistication, and the really successful practice of law requires integrating all of these elements into a whole approach. Mark spreads this word both through Legal Mosaic and through an ambitious teaching and speaking regimen, including an adjunct appointment at the Georgetown University Law Center. David Colarusso has never been wed to just one interest. He has worked as a science teacher, software developer, public defender, and data scientist. David’s passion for democratic dialogue lead him to create CommunityCOUNTS and 10Questions, which were designed to increase communication between political nominees and citizens during political races. David is also right at home on the legal side of social media. He created @LOLSCOTUS on Twitter, which uses a bot to archive incidents of laughter in Supreme Court transcripts, and co-produces the AM in the AM podcast. 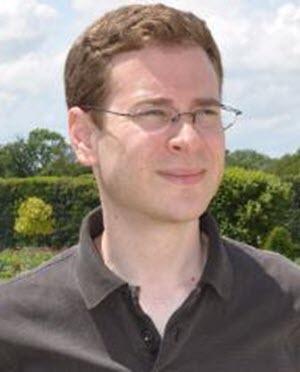 David is a great example of using software development in the service of the law; he is the author of a programming language for lawyers, QnA Markup, and is an award winning legal hacker (in the best sense of the word). There is more than one way to bring change to law firms — Vince Cordo is doing it from the demand side. As the first Global Sourcing Officer at Shell, Vince brings his experience of managing client value at Reed Smith and Squire Sanders to the task of controlling what Shell spends on its more than 100 outside law firms. 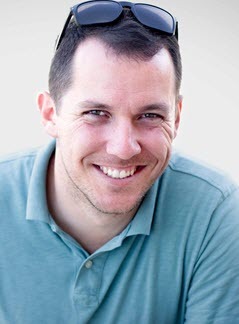 According to 2014 Fastcase 50 honoree Casey Flannery, "Vince is at the vanguard of a movement to systematically use buying power to shape law firm behavior on pricing, process, and technology.” He is data driven and has developed metrics to track and reward firms for investments that add value beyond legal matters. Vince has moved many of Shell’s matters to fixed fee or alternative fee arrangements, saving more than $20 million in legal spend, and he has changed the structure of Shell’s relationship with outside counsel, incorporating negotiation in the initial selection process. And in the true spirit of the Fastcase 50, Vince has embarked on a multi-year series for the ACC Docket outlining Shell's approach, as a valuable resource for other organizations that are looking to make major changes in how they deliver and consume legal services. 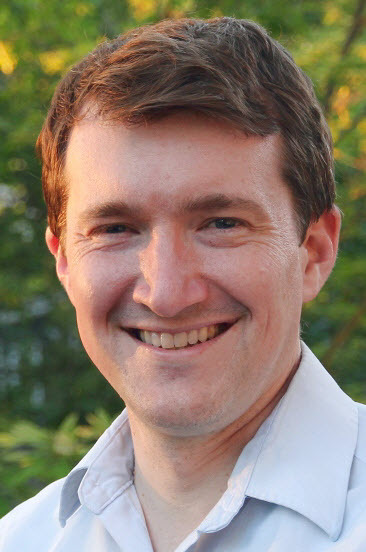 Jameson Dempsey co-founded DC Legal Hackers in 2013, and has worked to expand the Legal Hackers movement worldwide. The group is a community of academics, attorneys, policy makers, and developers that meets to discuss and develop ways to use technology to enhance legal practice and policymaking. When he is not working with Legal Hackers, Jameson is an associate at Kelley Drye’s New York office, where he focuses on telecommunications, data privacy, and information technology matters. Jameson's work has earned him a recommendation in Legal500 in the area of data protection and privacy. While still in law school, Jameson worked with the Brooklyn Law Incubator & Policy Clinic, which assists unfunded start-up companies on a pro bono basis. 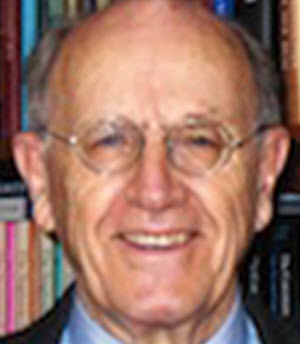 Lyle Denniston has spent an amazing 58 year career just covering the Supreme Court. That covers a quarter of all the justices ever to sit! Forget social media being for youngsters only. This octogenarian blogs for SCOTUSblog, has his own Twitter account and law news website, and liveblogs SCOTUS decisions to a faithful following, where the hashtag #waitingforlyle kicks off the official countdown to 10:00 a.m. on opinion days at the high court. Over his career, he has written about the Court for the Wall Street Journal, Boston Globe, The Baltimore Sun, The American Lawyer, and the Washington Star. He literally wrote the book on court journalism, as the author of The Reporter and the Law: Techniques for Covering the Courts. Although his departure from SCOTUSblog means the end of #waitingforlyle, we can't wait to see what inspired analysis and reporting he'll do for the Constitution Daily. 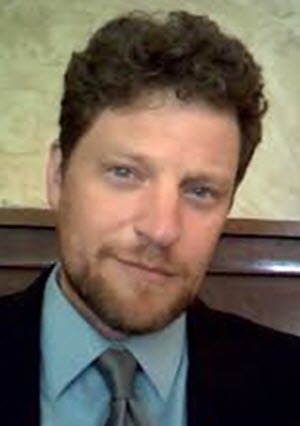 Randy Dryer is a Presidential Honors Professor at the University of Utah and a Professor of Law at the S.J. Quinney College of Law of the University of Utah. He has been of counsel at the law firm of Parsons Behle & Latimer for thirty-seven years. 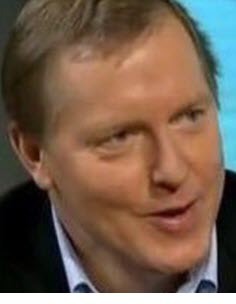 As a recognized expert in the field of First Amendment law and social media law, he has represented significant news organizations both regionally and nationally, including 60 Minutes, CNN, The New York Times and the Associated Press. Additionally he has helped many corporations draft crisis management plans and has not infrequently been called upon to oversee the execution of these plans. 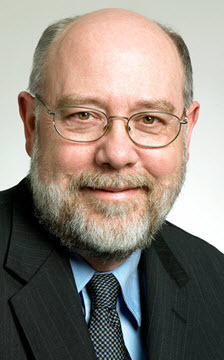 As a speaker and commentator on issues of First Amendment law, media law, privacy law and crisis management, he has contributed to the national discussion of new areas of law, or old areas of law made new by technology.Professor Dryer is also known for incorporating technology in his course pedagogy. Someday law students across the country may be thanking Mark Edwards for having their backs. That’s because Mark developed a less expensive alternative to the bulky casebook -– ChartaCourse. As a law professor at Mitchell Hamline, Mark saw a better way to learn. ChartaCourse formats entire courses as concept maps, and embeds all course material into the map -- cases, notetaking, videos, diagrams, historical documents -- you name it. Professors can customize content to fit their needs or use existing materials. Zev Eigen strikes an unusual profile for a lawyer - a BigLaw data scientist. He’s a lawyer with a Ph.D. from MIT’s Sloan School of Management who leads a team of data scientists tackling hard problems, like constructing predictive models and building software solutions to HR, labor, employment, and litigation focused problems. This is a new model of client service for lawyers and law firms -- using data and statistical methods to augment legal advice with data analysis. Littler’s Big Data Initiative aims to help clients harness the power of their own data, all while mitigating risk. Although many firms talk a big game when it comes to analytics, Zev and his team do actual data science for the benefit of Littler’s clients. The Stanford Center for Legal Informatics (CodeX, for short) is the Woodstock for legal technology -- some of the most interesting projects in legal tech have come from, or through, CodeX, which Michael Genesereth directs (with fellow Fastcase 50 honoree Roland Vogl). 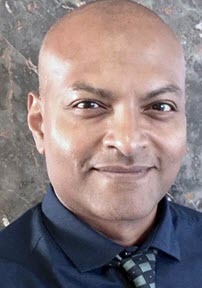 At a time when artificial intelligence has captured the collective imagination of legal tech, Genesereth has literally written the book on it -- The Logical Foundations of Artificial Intelligence, and he teaches a class in Legal Informatics at Stanford Law School. Genesereth is a Swiss army knife of the tech world, combining work on Computational Logic and applications of that work in Enterprise Management, Electronic Commerce, and Computational Law. 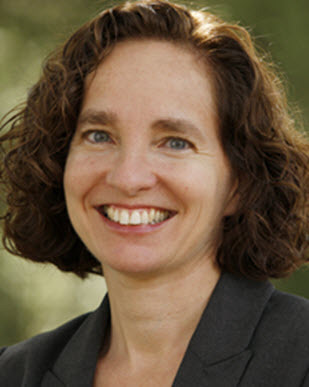 Genesereth serves as the director of the Stanford Logic Group, and was one of the founders of Teknowledge, CommerceNet, and Mergent Systems. The stress of the legal profession is well-documented, but how can we work to combat it? Do attorneys just need to better regulate their work-life balance, or is there more to it? Karen Gifford found a different kind of solution. While working in the high-stress financial industry (previously as Counsel and Officer of the Federal Reserve Bank of New York, now as the COO of Ripple Labs, a financial technology company that helps banks around the world communicate more effectively), Karen started a practice of meditation and yoga. After many years of success she decided to share her knowledge by writing The Anxious Lawyer with her good friend, and Fastcase 50 alumna, Jeena Cho. The book is a pragmatic guide for bringing mindfulness to the practice of law. On July 1, 2016, Risa Goluboff became the twelfth Dean, and first woman Dean, of the University of Virginia School of Law. A mere listing of achievements, awards and honors would be impressive: A.B. from Harvard, M.A. and Ph.D. from Princeton, J.D. from Yale Law School, clerkships with Judge Guido Calabrese (Second Circuit) and Justice Stephen Breyer (Supreme Court), University of Virginia's All-University Teaching Award (2011), Guggenheim fellowship, fellowship from the American Council of Learned Societies, the list could run off the page. Of much greater value, though, is the example Risa offers of the contribution that law can make, when joined skillfully and honestly with other disciplines, in helping society hold a mirror up to itself. This she did preeminently with her 2007 book The Lost Promise of Civil Rights. This book, which was awarded the Order of the Coif Biennial Book Award and the Hurst Prize, offers a story of the urgency of economic as well as legal justice for African Americans. Her latest scholarly contribution is her 2016 book Vagrant Nation: Police Power, Constitutional Change, and the Making of the 1960s. 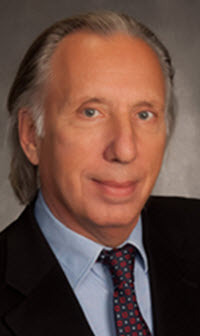 Ross Guberman is a former translator, award-winning journalist, professional musician, and lawyer at a top firm. Before law school, he completed doctoral-level coursework in linguistics and semantics. Ross has made it his mission to raise the bar for legal writing everywhere. He has penned two bestselling books on the subject - Point Made: How to Write Like the Nation’s Top Advocates and Point Taken: How to Write Like the World’s Greatest Judges. Ross also designed Legal Writing Pro, a training and consulting firm that has been used by many of the nation’s top law firms. In addition to his many legal writing seminars, Ross recently launched Contract Catch to help with contract drafting. Lawyers can upload a contract, and Contract Catch applies hundreds of rules to flag possible errors, inconsistencies, or problematic language —- everything from issues with defined terms to the questionable drafting of rights and obligations. It also includes a Plain English Editor to help modernize and streamline contract language. 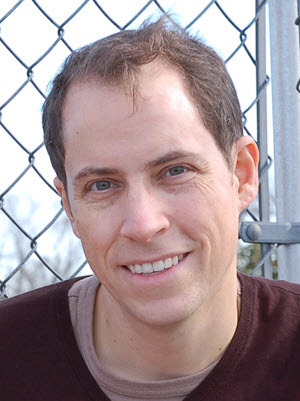 Ross is the winner of the 2016 Golden Pen award for making “an extraordinary contribution to the cause of good legal writing,” and through his work, Ross is helping banish bad legal writing for good. The Problem: Congress is “a 19th-Century institution often using 20th-Century technology to respond to 21st-Century Problems” (according to Rep. Cathy McMorris-Rodgers). The Solution (or at least part of it): Kirsten Gullickson, who is helping bring Congress out of the paper-and-ink era into the digital age. Kirsten serves as co-chair of the Legislative Branch XML Working Group, focusing on XML standards and practices in Congress. This may sound dry, but it’s exactly this work that makes legislative data useful across different institutions, and it is a revolution for legal tech. Kirsten works on and maintains XML initiatives, including a major initiative to create an application to write legislation in XML for the House of Representatives, which is a key ingredient in transparency and legislative monitoring. The House’s modernization of its lawmaking workflow will likely serve as a beacon for other nations and for states, so her quiet work behind the scenes will have an outsized impact around the country, and around the world, for many years to come. 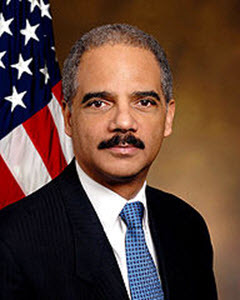 When the Department of Justice Hired Eric Holder as a trial attorney in the Public Integrity Section in 1976, fresh out of Columbia Law School, they probably had little idea that he would later serve as the nation’s first African-American Attorney General 33 years later. He served as the 82nd Attorney General from 2009 until 2015, the third-longest tenure in that job in American history. Holder has served in government for more than 30 years, serving as a D.C. Superior Court judge, the U.S. Attorney for the District of Columbia, and as Deputy Attorney General during the (Bill) Clinton Administration. Holder continues his work on civil and voting rights in the private sector, as a partner at Covington & Burling. Although Holder’s accomplishments are too many to name, he can finally check the coveted Fastcase 50 off his bucket list. 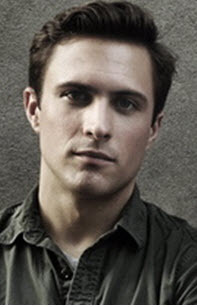 Hudson Hollister is the founder and executive director of the Data Coalition. 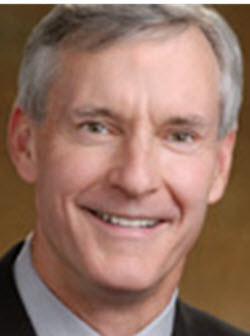 Prior to his work at the Data Coalition, Hudson was a securities litigator at Latham & Watkins and served as an attorney both at the Securities and Exchange Commission and the Committee on Oversight and Government Reform of the House of Representatives. Under his leadership, the Data Coalition has advocated for collection and publication of government data using a non-proprietary, machine-readable format, for the purposes of making government data available and useful to citizens and watchdogs, standardizing government data management, and permitting the automation of compliance processes. The coalition scored a major victory with the 2014 passage of the Digital Accountability and Transparency Act (DATA Act), which requires the Department of the Treasury and The White House Office of Management and Budget to transform U.S. federal spending from disconnected documents into open, standardized data, and to publish that data online. There are few roles in the legal community more important than those that protect the public. 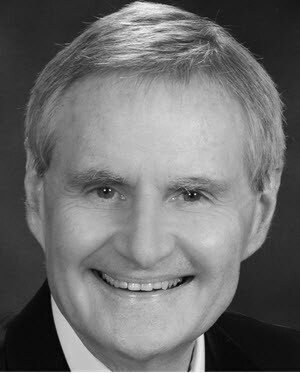 For 35 years, Gene Shipp has diligently safeguarded the public interest in the D.C. Office of Disciplinary Counsel, leading the office as Disciplinary Counsel since 2005. As the Bar’s disciplinary counsel, Gene has made his mark in the world of attorney discipline policy, both locally and nationally. He is an ABA fellow who has served as a liaison between the ABA and the National Organization of Bar Counsel, where he was formerly president. Outside of his role setting national policy, Gene has taught literally countless attorneys about legal ethics and professional responsibility, both as a CLE instructor and professor at several D.C. law schools. Gene has made over 187 presentations on ethics and the disciplinary system as part of the Mandatory CLE Course for new members of the District of Columbia Bar. Gene will retire in 2017, and was awarded the ABA’s 2016 Michael Franck Professional Responsibility Award in June at the 42nd ABA National Conference on Professional Responsibility in Philadelphia. Many think of software as confined to automated tasks and processes. Mary Juetten isn’t one of them. She is pushing the boundaries of what computers can do as the founder and CEO of Traklight, a Phoenix-based small company that helps attorneys and businesses protect their IP interests through a self-guided program. Traklight can assess risk, create custom strategies for protection, and even automate client intake processes in addition to providing lead generation and triage for business, IP, venture, and startup attorneys. Mary is also the co-founder of Evolve Law, a legal tech community that encourages greater collaboration among entrepreneurs to move the industry forward together. 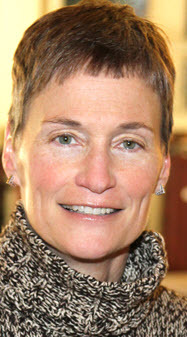 Kristine Knab has devoted her life to the defense of the rights of the poor. After graduating from Florida State University with High Honors, she joined the staff of Legal Services of North Florida. Author of the book Small Claims in Leon County, she became Executive Director of the LSNF in 1994. 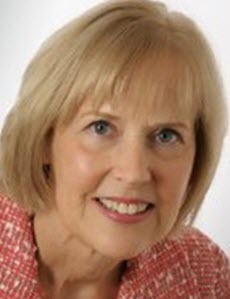 A passionate advocate for funding for legal services, she also served on the Big Bend Fair Housing Center, Vice-Chair of the Florida Bar’s 2nd Judicial Circuit Grievance Committee, board member and Secretary of the United Partners for Human Services, and Vice-Chair of the Leon County Commission on the Status of Women and Girls. 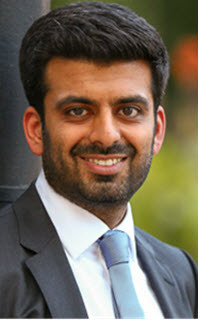 While he was billing 2,400 hours a year at Kirkland & Ellis, Nehal Madhani was nevertheless still making time to look for his opportunity to become an entrepreneur. He did that in 2013 by teaching himself to code and starting Alt Legal. The company helps IP lawyers to collect client information, create and file pertinent IP filings, and track those filings through their lifecycle. The software helps overburdened lawyers to docket trademarks, copyrights, and patents; generate reminders, reports, and status e-mails; add key dates to their calendars; and the service integrates with practice management software Clio. 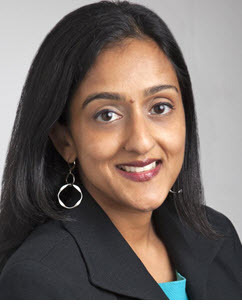 For an alternative legal career, Alt Legal seems like just the ticket for Nehal Madhani. 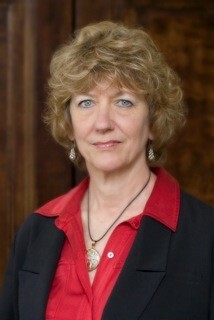 Katherine Mazzaferri has served the District of Columbia Bar for 34 years, most recently as its CEO. During Katherine’s tenure, the Bar elevated its pro bono efforts into the D.C. Bar Pro Bono Center, created a first-of-its-kind mandatory fee arbitration program, instituted a Lawyer Assistance Program, and started a Practice Management Advisory Service. She also oversaw bringing the Bar's Continuing Legal Education Program under the DC Bar umbrella. "Katherine has served the D.C. Bar with great distinction during a time of explosive growth of the Bar, from about 35,000 to over 100,000 members. She is the heart and soul of the organization and deserves high praise for her leadership and stewardship," said D.C. Bar President Tim Webster. The Bluebook is a rite of passage for many law students, a minor religion for (some) law review editors, and the occasional bane of practicing lawyers. However, different institutions have their own style guides quite beyond the edicts of the Bluebook, and Jack Metzler has brought at least two of the more prominent of this collection to the public. With his publication of The Solicitor General’s Style Guide, Metzler has created the definitive style guide for Supreme Court advocates. Journalist Tony Mauro says: “Forget the Bluebook, the Solicitor General's common-sense rules of punctuation, citation, capitalization, and italicization are now public and all lawyers should pay heed." In addition, Metzler this year published a free edition of The Supreme Court Style Guide, the manual used by the Reporter of Decisions to prepare the Court’s decisions for publication in the United States Reports. Style guides are incredibly nerdy, and likely cater to a very small audience, which is one reason we think it is so terrific. In legal writing, style matters, and Metzler has collected two important guides to persuasion at the highest levels. Jules Miller and fellow entrepreneur Mary Juetten are showing that it’s not the strongest or smartest legal innovators that survive, but the ones that adapt most successfully to change. Jules created Evolve Law to accelerate the adoption of new technologies in the legal industry. Jules is also the COO and Co-founder (with fellow Fastcase 50 winner Julia Shapiro) of Hire an Esquire, a new generation legal recruiting and staffing agency that helps talented lawyers build careers outside of the rigid partnership track. Hire an Esquire also helps law firms and in-house legal departments better respond to the pressures of a just-in-time economy and a volatile legal market. Some legal tech projects are bigger than others, and when it came time to retire THOMAS, the Library of Congress’s first legislative publishing system, Congress knew it would need an expert. It called on Tammie Nelson, who had been working on THOMAS for the Library of Congress. Nelson was a veteran of both software development and project management, and she led a 40-person team to design, create, and make the transition to the new Congress.gov. This was a major project, with 45 million page views to THOMAS over the preceding 12 months. Even though the transition was enormous, the project was on time, on budget, built largely on open-source software, and concluded without any major interruptions of service to one of the nation’s most important pieces of legislative infrastructure. Robert Van Nest won one of the biggest litigation victories of the year when a jury found that Google's use of Java APIs wasn't a copyright infringement, ending a six-year lawsuit with Oracle. Robert is no stranger to high-profile litigation, with clients that include Intel, Qualcomm, Samsung, LinkedIn, and many more. 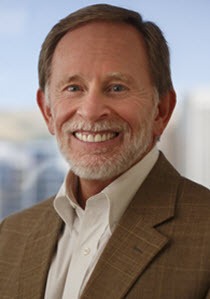 He joined Keker & Brockett as an associate in 1979, became a partner in 1982 and saw the firm renamed Keker & Van Nest in 1994, thus becoming a name partner in the San Francisco law firm that Legal 500 has described as "capable of explaining complex issues in layman's terms and doing it in a way that never belittles the jury." Robert consistently has been cited by industry publications as "Lawyer of the Year" (The Recorder, 2012) or "Intellectual Property Lawyer of the Year" (Best Lawyers, 2012) or "Icon of IP" (Law360, June 2016). At the same time that he uses the courtroom to bring clarity to intellectual property law, the firm that bears his name offers a robust pro bono practice, with recent efforts centered on initiating a class action suit over California's treatment of prisoners and filing an amicus brief on behalf of Amnesty International. 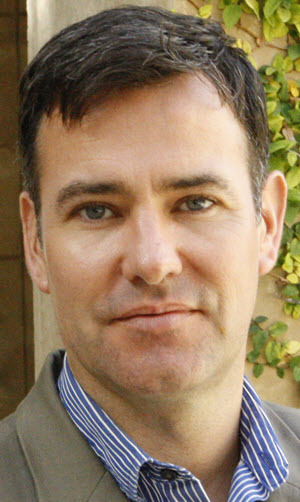 Kevin O’Keefe is one of the most connected lawyers in the world. For more than a decade, Kevin has shown us that authentic relationships are the special ingredient of networking online. 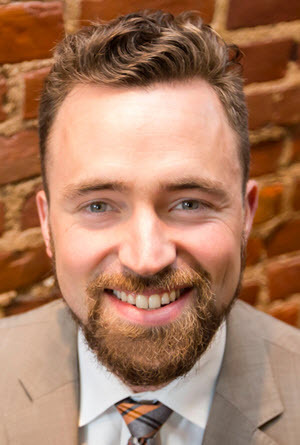 He is the Benjamin Franklin of blogs for lawyers, using thoughts for keys and blogs for kites, he’s connecting lawyers and powering more than half of the AmLaw 200 blogs with platforms for electrifying their networks and ultimately growing their relationships. Kevin has shown an entire generation of lawyers how to find their voices online, and how to help new clients find them. He has generously coached many of the legal tech entrepreneurs honored on the Fastcase 50, and he has established LexBlog as the glue that holds the legal Web together. Bob Oaks has been a law firm librarian over 35 years, having spent the past 25 years at the 2,100-lawyer firm of Latham & Watkins LLP, where he recently retired as Chief Library and Records Officer. While at Latham, he managed the firm’s Department of Information Resources, which includes divisions for Library, Records, Conflicts/New Business Intake, and Litigation Services. The department totals over 200 people working among the firm’s 32 offices in 17 countries, all of which Bob has visited in a global pursuit of the best research sources and the most passport stamps. Prior to his service at Latham, he was Legislative Librarian at O’Melveny & Myers. Bob managed all of these operations for a West-Coast, and then global, firm from Washington, D.C., and always sought to ensure that the firm was on the cutting edge of information science. He has served as one of the informal “deans” of law librarianship in America. 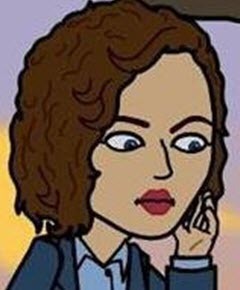 This former Jones Day and federal government lawyer brings us courtside coverage with clever commentary on the Supreme Court through her Twitter feed at @AppellateDaily. Michelle Olsen shares the play-by-plays of SCOTUS, the bench and bar in the thirteen appellate circuits, and the occasional sideline appearances and lectures by the nine justices. She’s also an advocate of public access, especially when it involves courts providing oral argument audio online. SCOTUSblog, How Appealing, Above the Law, and numerous other legal sites have spotlighted Michelle’s work, and she has provided on-air commentary for HuffPost Live. She’s the go-to source for judicial commentary. Data visualization and topic mapping are two of the most important trends in legal information. Kimball Parker, a former Quinn Emanuel lawyer, is using both to help law students and lawyers to understand the law more easily. He created Co/Counsel as a crowdsourcing platform designed to make the law more accessible and understandable through visual maps of the logic of the law. Co/Counsel combines topic maps diagramed by law students as part of its interactive learning activity. Those legal topic maps are made public and open to community editing, and this unique combination of the wisdom of experts and the wisdom of crowds creates new and open avenues for exploring and understanding the law. Donna’s personal mantra is “Learn something new every day and surround yourself with really smart people.” This exemplifies the foundation on which PayneGroup has operated for the past 23 years. 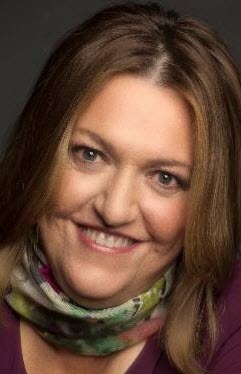 Donna Payne, CEO of PayneGroup, is a frequent presenter at legal, security, university and technical conferences and is a frequently featured author in publications. The company has authored 13 books on technology and law office practice management, including the bestselling series Word for Law Firms. PayneGroup has created a useful set of legal tools for document generation, legal numbering and security software such as redaction, metadata removal, and Outlook security alerts. In addition, the company provides software consulting services and training globally for law firms and corporate legal departments. What do most lawyers do when faced with expensive, cumbersome methods for tracking cases and predicting case outcomes? They suffer grunt work, try to collect limited information, hedge, or rely on hunches when giving advice. But what if the lawyer were also a software developer? That lawyer-developer might do what Michael Sander did: design an easy-to-use system for collecting, aggregating, visualizing, and understanding those cases. (They might call that system Docket Alarm.) Michael’s vision for Docket Alarm is a tool that automates much of the complex work that litigators do today. It would be enough if Docket Alarm simply made beautiful visualizations of information from court filings in the past -- but the service also uses data analysis to predict the likelihood of success and probable value of a case. Michael has quickly built a full-service analytics platform, including conflict checks, document delivery, competitive intelligence, and automated marketing. After graduating from Emory University School of Law, Daniel Schuman has dedicated his career to promoting open and accountable federal government. 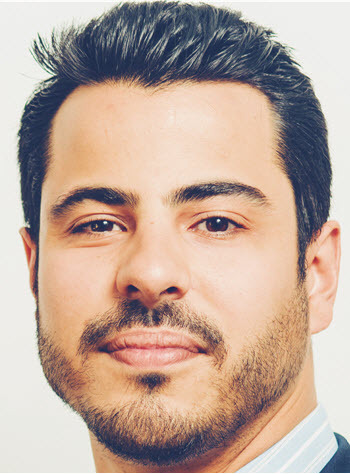 Noted as one of the "top 25 most influential people under 40 in the government and technology" by Fedscoop, Daniel began his career as a legislative attorney with the Congressional Research Services. Daniel went on to work as a policy counsel with the Sunlight Foundation and with Citizens for Responsibility and Ethics in Washington. Now working for Demand Progress as policy director, he specifically focuses on civil liberties, civil rights, and government reform. 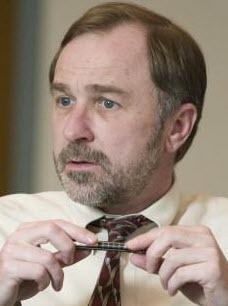 He has testified before Congress about the importance of open legislative data, and has organized the Congressional Data Coalition, a group advocating for open Congressional data. Innovation is streamlining dysfunctional markets as diverse as taxi services, sports, restaurant reservations, and dating. Why should legal personnel, one of the most lucrative broken markets, be any different? 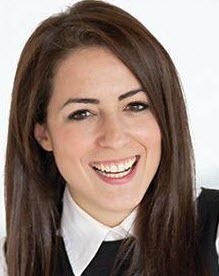 Julia Shapiro (along with fellow Fastcase 50 honoree Jules Miller) co-founded Hire an Esquire, a new generation legal recruiting and staffing agency that connects lawyers to temporary or permanent legal work, outside the standard BigLaw or solo practitioner job profiles. In a very fluid job market, Hire an Esquire also helps law firms and in-house legal departments better staff for temporary needs without adding overhead for permanent staff, empowering the on-demand economy for legal services, and allowing creative lawyers a different way to find work-life balance. 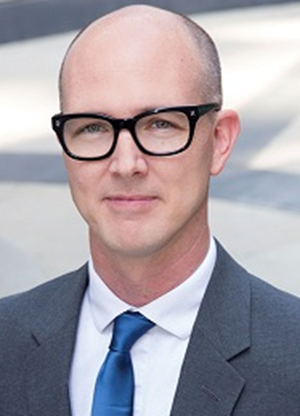 Digital Detective John Simek is co-founder of a legal technology, digital forensics, and information security company that serves companies and law firms across the country. Through Sensei Enterprises, and alongside his wife/co-founder/fellow Fastcase 50 winner Sharon Nelson, John publishes the annual Solo and Small Firm Legal Technology Guide. There are many people selling tech services to lawyers -- but John’s office has its own secure clean room for digital forensics; he’s the real deal. Sensei was doing digital forensics and information security before it was popularized by TV, in large part because of John’s vision and expertise. John also shared his expertise, as the author of numerous books and a co-host of the Digital Detectives podcast on Legal Talk Network. John has more certifications than you can shake a stick at, and he is a sought-after expert witness in forensic trials nationwide. 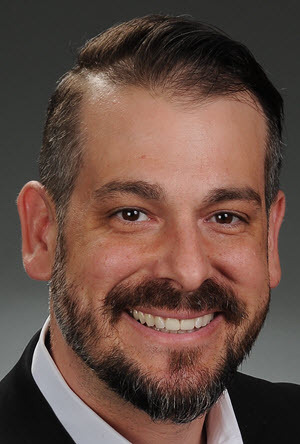 Jason Steed is an associate at the Dallas firm of Bell Nunnally & Martin LLP, though such a bare statement does not begin to express his activities or influence in the world of appellate practice. 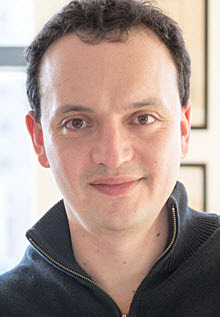 He came to the study of law as a second academic pursuit, after receiving a Ph.D. in English and an MFA in creative writing, as well as being an award-winning author. It is no wonder that judges and attorneys praise the craftsmanship of his briefs. 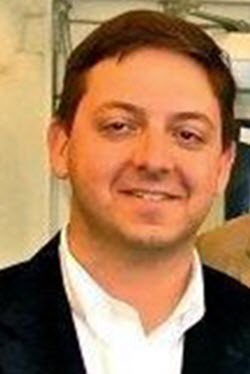 Besides his appellate work for Bell Nunnally & Martin LLP, Jason offers a real service to his colleagues through his Twitter updates (@5thCircAppeals) and his blog www.formalegalis.org. No one has religion like a convert, and John Stewart has found religion. From recovering technophobe to Chair of the Technology Subcommittee of The Florida Bar’s Vision 2016 Commission, John is a rising star in The Florida Bar. 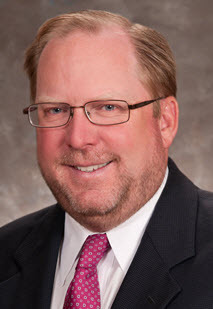 He served as President of The Florida Bar Young Lawyers Division in 2006-07 and joined the Florida Bar’s Board of Governors Executive Committee. It was only in the last few years that he became an avid user of technology, and he has spoken and written extensively about the need for lawyers to change the delivery of legal services to reach middle-class clients. 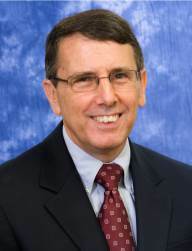 John serves on the Supreme Court of Florida’s Florida Courts Technology Commission and serves on the Executive Committee of The Florida Bar’s Alternative Dispute Resolution Section. Gabe has been in constant motion in his legal career. He attended law school at night while serving in the U.S. Secret Service, where his duties included protecting two U.S. presidents and dozens of other dignitaries. 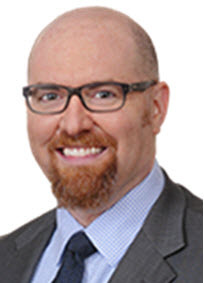 After graduating law school in 2005, he had a two-year stint as a trial attorney at a Boston firm before joining the full-time faculty at Suffolk University Law School in 2007. Since then, he has taught 9 different courses and has more than 20 publications to his name. Today, he leads Suffolk Law’s renowned legal technology and innovation work, including directing the Institute on Law Practice Technology and Innovation, and also directing Suffolk Law’s academic concentration (akin to an undergraduate major) in legal technology/innovation. In spare moments, he built SpacedRepetition.com, which is an app that harnesses scientific research to allow law students and bar preppers to learn far more in far less time. During the 2016-17 academic year, Gabe will be a Visiting Fellow at the Information Society Project at Yale Law School. Why should technology be reserved for Biglaw and firms focusing on tech-based practice areas? In his practice as a divorce lawyer and mediator, Mark Unger saw the value of integrating technology at every step to achieve greater efficiency and organization. Before practice management software was a major player, Mark was already setting up a practice management and e-billing portal and storing client folders in the cloud. Mark has helped other attorneys see the benefits also, as former Chair of the Computer & Technology Council, 15 year Chair of the SABA Technology Committee and Section, former Chair of the Texas Bar Web Services Committee and current liaison member of the Judicial Committee on Information Technology for the Texas Supreme Court. Mark has described his practice as trying to be creative to help his clients tell a compelling, true story before judges. Equal parts counselor, poet, coffee addict, and creative problem solver -- Mark Unger is a Renaissance lawyer for the 21st Century. Although Roland's "credit line" indicates that he is executive director of CodeX, that is only a very small part of his activities aimed toward building a new way to look at and use legal information. After early stints with the European Commission and the European Parliament, Roland began the United States phase of his career in California. 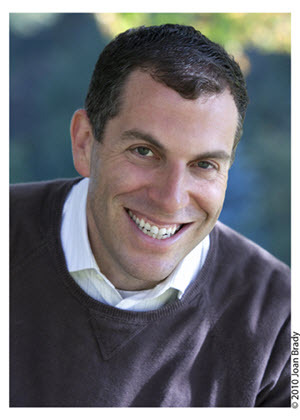 He joined Stanford in 2003, where he became head of the Stanford Program in Law, Science & Technology. 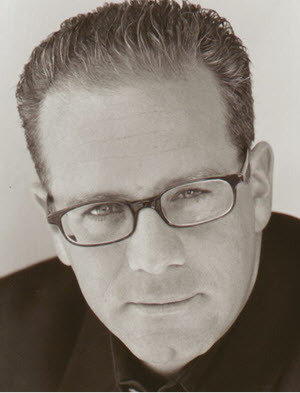 Five years later he became the executive director of CodeX, the Stanford Center for Legal Informatics, and a hotbed of legal innovation. 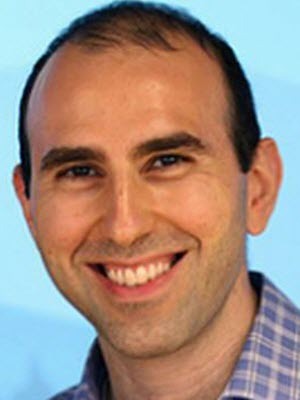 Within Stanford he spearheaded the development of the Stanford Intellectual Property Exchange (SIPIX), which addressed content licensing issues in legal education and was eventually spun off from Stanford. In his work at Stanford, Roland has had as his aim what has become the aim of CodeX: "[T]o advance the frontier of legal technology, bringing new levels of legal efficiency, transparency, and access to legal systems around the world." Corry Van Zeeland was a social worker for fifteen years before obtaining a law degree from Tilburg University. After a position in the Dutch prison system, she joined the Tisco Research Institute at Tilburg University. 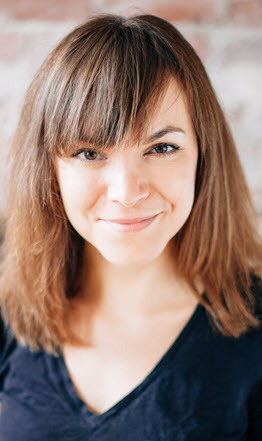 Her efforts there have centered on conflict resolution, and especially designing and implementing user-driven systems. In 2012, Tisco entered into a formal relationship with the Hague Institute for the Internationalisation of the Law, and Corry became head of HiiL's Justice Innovation Lab. In that position, she facilitates "access to justice" contact and cooperation among those working on new approaches to leveling the playing field, to ensure that law is used as a tool to bring about a just society.